What do your think of when you hear the words “Celtic music?” Is it the mighty dance tradition of the Celtic lands: jigs and reels on flutes and fiddles? Is it beautiful, mist-mystic new-age tunes played achingly slow on harp and hammer dulcimer, and drenched in reverb? Or maybe it’s the song tradition: balladeers singing cheerfully of women and drink in four-part harmony? Whatever. You can now add “tribal Celtic pipes and drums” to the mix. The Wicked Tinkers are a pipe-and-drum outfit based in the LA area. But this band of hell-raisers is nothing like your usual military-grade marching pipe band. The Tinkers storm the stage like Vikings with their sights set on the finest Scotch in the lord’s castle. Their newest release “Rant” is their best album so far, and with a half-dozen releases under their belt, these lads know what they’re doing. Last week we shared the stage with them at the Utah Highland Games outside Salt Lake City, and they handed me a copy of this very fine record. The core of the group has always been piper Aaron Shaw and drummers Warren Casey and Keith Jones. On this release, Aaron sings some ancient-sounding pieces, and didgeridoo player Jay Atwood contributes a sense of theater and drama with his layered looping technique. Jay also plays the Bronze Age Irish horn, creating a haunting sound that seems to come from a prehistoric time and place. Much of the so-called Celtic music being produced these days has a large contemporary component. Which is a good thing–it’s the best way to bring new fans into the fold. But there’s nothing modern about the sound of the Tinkers. (OK, so I admit they could not have had a didgeridoo in ancient Scotland!) 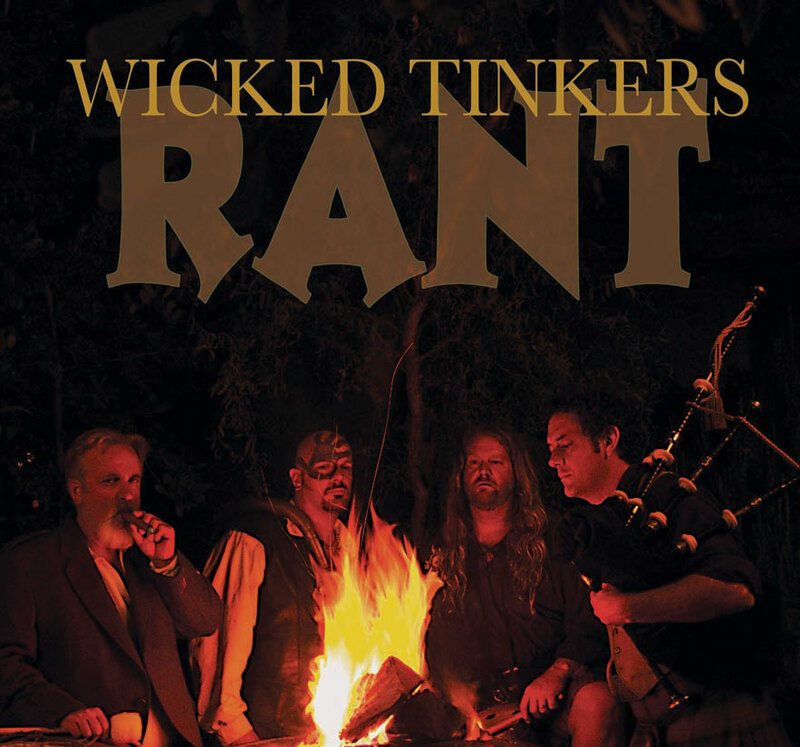 On “Rant,” the Tinkers take the listener to a fantasy land of swirling bagpipe and ancient chant, pounding drum and droning didg, clan kilt and peaty Scotch. It’s a fun place to visit, but I wouldn’t want to live there. Actually what usually springs to mind first is an a Capella Scots church service I heard once with a *caller*; his congregation followed in different keys & pitches, which is how I imagined the ancient Gaels probably did it ~ more chanting than singing & hardly what we would normaly term musical. I like the modern stuff but it is not what I think of first.